The bodies of men in the bodies of women were created differently so they complimented each other, so that the union of the two would bring a conception which would bring a living Soul into the world. In his wisdom and mercy, Our Father made men and women dependent on each other for the full flowering of their potential! The nature of male and female Spirits is such that they complete each other. By Divine Design, fathers are to preside over their families in love and righteousness and are responsible to provide the necessities of life and protection for their families. Mothers are primarily responsible for the nurture of their children. And the sacred responsibilities, fathers and mothers are obligated to help one another as equal partners. Before we were born, male and female, we made certain commitments and was sent to come to this Earth with great, rich, but different gifts. We were called, male and female, to do great works with separate approaches and separate assignments. There is order in God’s creation. He created the man as the Head, the women as a Help meet, then the children. Equal in spirit but in our physical body he created position for our assignments. Men and women have different gifts, different strengths common different points of view and inclinations. That is one of the fundamental reasons why we need each other. 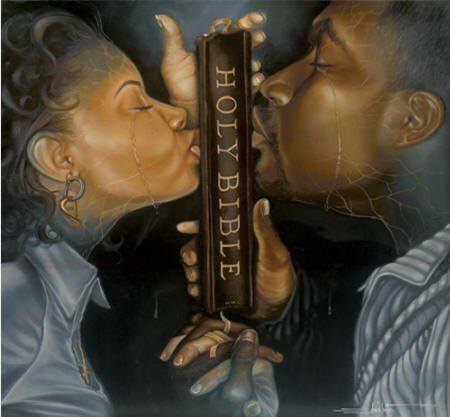 It takes a man and a woman to create a family, and it takes men and women to carry out the work of the Lord. I believe that when the male and female treat each other as equals, they both greatly benefit from their differences. By respecting each other’s vastly different perspectives, and building their lives on the wisdom of those different perspectives, they grow together much wiser and stronger than either would ever be by themselves. But when each person ignores the other’s perspective, making choices that benefit him or her independently, they lose that Advantage which leads to unhappiness in their relationship. I believe that men/women can stand in equal balance together when they understand God’s principle. One does not stand above superior to the other. They are metaphysically equal in importance yet they are opposite in purpose /function. Within the balance which is also a name for love their lies a Universal purpose for both the man and the woman. A man’s purpose is to secure a woman; a woman’s purpose is to reproduce the man. This is another way to say, divide the one and unite the two. Our purpose is related to our sexual Nature’s as is our love. Yes we think differently, we process emotions differently, we make decisions differently and we learn differently; and yet men and women complement one another so beautifully that a healthy relationship makes both Partners more complete. When we don’t understand our purpose/ design/assignments. We fall. United we stand!